Thanksgiving week brought pride and smiles to Charlene Watson and K’aisha Beckwith, who were two out of eleven recipients of donated vehicles from the Community Solutions for Transportation [CST] program. This program is a partnership between Dutchess County Department of Social Services and Dutchess BOCES, funded with CST and Wheels for Work [WFW] money. 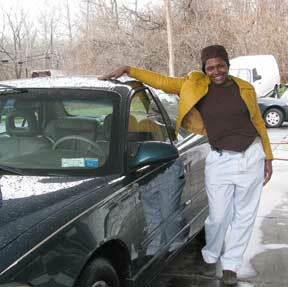 Since 2001, CST and WFW programs across New York State have assisted over almost two thousand low-income families with acquiring reliable used cars, registering and insuring their own vehicles, car repairs, budget counseling, car maintenance instruction, and obtaining permits, driving experience and licenses. These programs have been very successful and have enabled many people to leave the welfare rolls and secure jobs that would otherwise have been unobtainable, as well as assisted people with maintaining or improving their current employment to remain independent of public assistance, or gain access to higher education to increase their earning potential. Since inception 593 local families have received donated vehicles. Transportation services under CST and WFW in Dutchess County are funded by the New York State Office of Temporary and Disability Assistance and the local Department of Social Services. For several years the Statewide Emergency Network for Social and Economic Security has highlighted Dutchess County for developing and administering one of the most successful transportation programs in New York State. 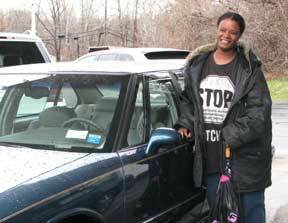 When car ownership is the best solution for eligible, working individuals, we provide used automobiles. Basic car maintenance instruction is offered to those receiving vehicles. If a vehicle can be restored to a condition of safety and dependability, consideration is given to repairing it. The City of Poughkeepsie Police Department provides a limited number of infant/toddler car seats to eligible families. Eligible individuals receive behind the wheel driving experience and a five-hour pre-licensing class in preparation for the NYS road test. Classes are provided for those acquiring cars or driver's licenses, or needing assistance with their car insurance and/or registration. 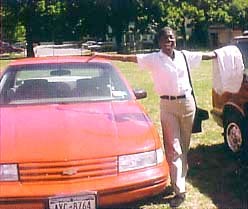 "I was very excited to get the car. It enabled me to get to work and get my daughter to daycare. I was so excited I could cry. I’m very grateful to the program. 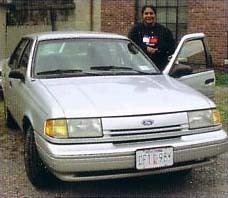 The car runs well and helped me to save money because I no longer had to take cabs. Thank you to Community Solutions for Transportation." The Community Solutions for Transportation program needs individuals from Dutchess County to donate their used vehicles to be given to our eligible program participants. Donated cars will be repaired with program funds then donated to a low-income county residents so they can obtain, maintain, or improve their employment. Donated vehicles should need $1,500 or less in repairs, and be recently registered and insured. 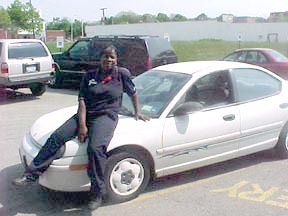 Vehicle donations to the program may be tax-deductible since they are being donated for use by low-income individuals. Please contact Deb Goodpaster at 845.483.3640 extension 6109 or email debbie.goodpaster@dcboces.org for details on donating your vehicle.